We are certain you have heard the news. Please forgive us for delayed communication, but our first priority has been to support our employees and designers. It is with great sadness that we announce, effective May 1, we are exiting the Westminster Lifestyle/FreeSpirit fabric business. Our sister company, Coats and Clark, Inc. will continue as part of the sewing and quilting landscape just as they have always been for over 200 years. We appreciate your support and love of our fabrics throughout the years. We’ve enjoyed bringing to you the best designers printed on the most luxurious of fabrics and watching you create incredible works. Thank you for your love of our fabrics. For customers: We will continue to fulfil orders placed to date for delivery prior to Tuesday, May 1, with new orders for existing collections on a first come first service basis. We will not be producing new Westminster or FreeSpirit Fabrics from today onwards. 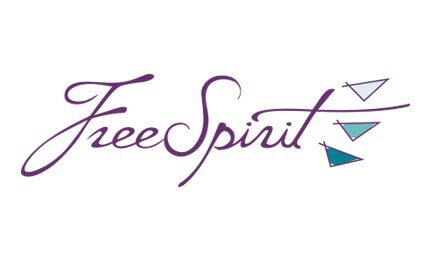 Some of FreeSpirit’s designer roster includes: Tula Pink, Amy Butler, Anna Maria Horner, Jennifer Paganelli, Kaffe Fassett, Denyse Schmidt, Shannon Newlin. Essential First Step One thing that you should do before you even begin working on your prototype, is order samples! When you explore fabric options before the design phase, you have the flexibility to adapt ideas based on the options. Every designer should have a reliable fabric sourcing strategy to successfully meet production demands, and sample selection is the first step in this direction. Don’t panic – I have compiled a checklist here, to run you through all that you need to know about fabric sourcing, to create the ultimate fabric sourcing strategy. Questions To Ask Fabric sampling requires attention to detail. Remember that you will need more quantities of the same fabric from your sample run once you finalize your design. So, ask questions on the following aspects to anyone you plan to do business with: Minimum and maximum quantities: Many suppliers impose a minimum order quantity of a few hundred yards of fabric, which may be too much to order when you are an emerging designer.